Green Power Chemical offers a wide variety of environment friendly cleaning degreasing products for any task. We have over 40 years of creating and designing solutions to any cleaning problem. Feel free to call for expert help on any maintenance or production questions that seem impossible to resolve anytime whether you purchase our products or not. 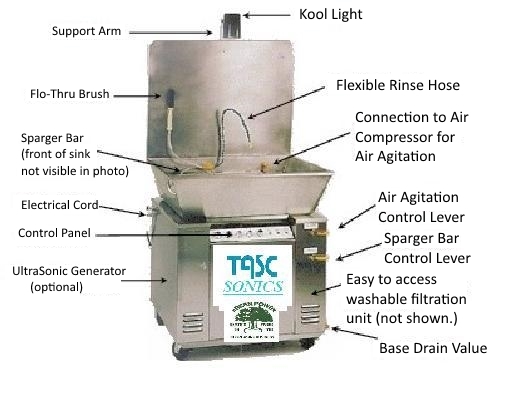 Our site provides a small sampling of the types of products that Green Power Chemical offers like Alconox cleaners our own TASC cleaners, Planisol-M, all brands of parts washers, such as (Better Engineering, CUDA, Graymills, Kleer-Flo, Landa, TASC Sonics just to name a few). Formulated for everyday use. Perfect for tile, porcelain, stainless steel and many other surfaces. 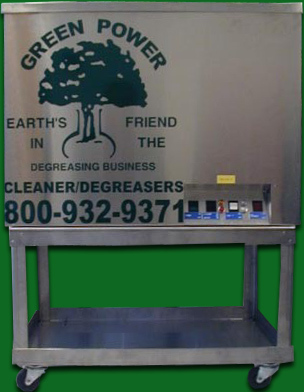 Hot Pressure Steam Cleaners, Green Power Sonics and many more cleaning systems available. Provides a safe and efficient solution to cleaning, eliminating the need for harmful cleaning solvents. The environment's choice cleans and strips away wax, flux, coolants, oil, paints, silicone's, etc. Minimizes toxic waste removal. SAFE for ALL brands of aqueous parts washers, deburring, ultra­sonics. Phosphate free and rust inhibited. 3D Prototype cleaner, Environmentally safe cleaner to replace Tri-chlor, T. P.M, Acetone, Isopropyl and other hazardous and flammable solvents $29.95/GAL. 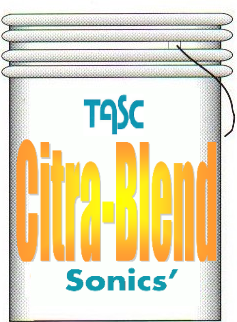 A revolutionary sufactant system; so superior in efficiency CITRA-BLEND threatens to replace every cleaner and degreaser on the market today. For Optimum Cleaning of Soft Ferrous Metals, Aluminum, Brass, Copper, Silicone, Low Carbon, Stainless, and Case-Hardened Steel. 550 lbs@5.25/lb. 280 lbs@6.25lb. 50 lbs@7.25/lb. Offers a Wide Variety of Environment Friendly cleaning/degreasing products for any task. We have over 28 years of creating and designing solutions to any cleaning problem. 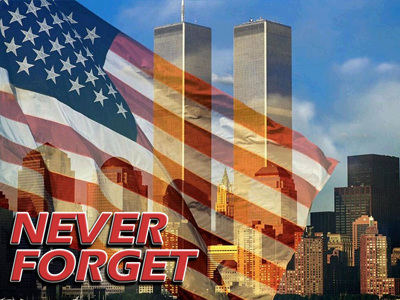 that seem impossible to resolve anytime whether you purchase our products or not. 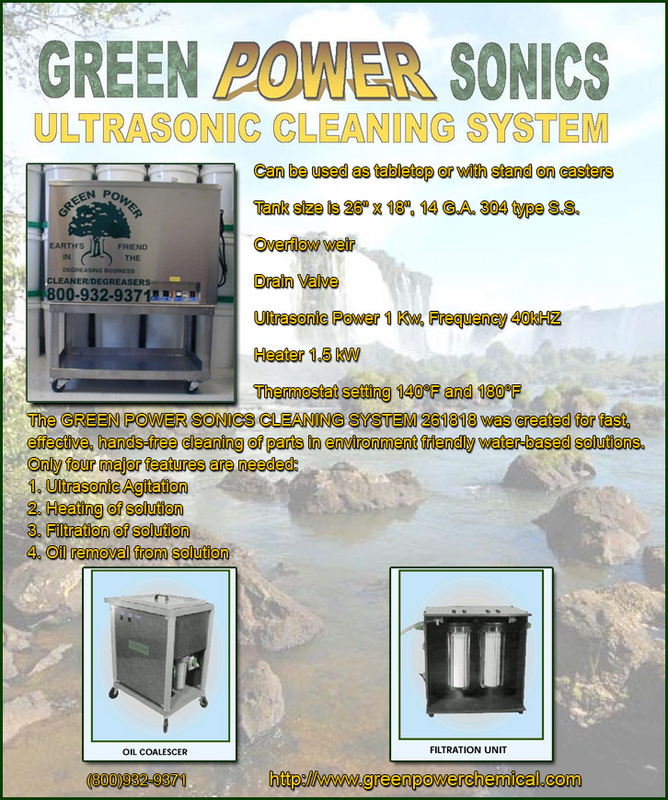 The improved version of Green Power Sonics provides two ways to clean/degrease parts: Hand wash with flow-through brush or let the bubbling, environment friendly, degreaser effortlessly clean while you perform other tasks. You also have a choice, if you prefer, of a Spray Tank Washer which pressure washes parts in a rotating basket for 360° cleaning.